What a great reminder to use the beautiful ideas in this Idea Book to jumpstart your own projects. You are encouraged to copy projects as seen in the catalog, or customize to your heart’s content. Here’s a card I made that was inspired by a card I saw on page 50. One of the first things I do when I get my new Idea Book is look for layouts that will work with stamp sets (or other products) that I already own. 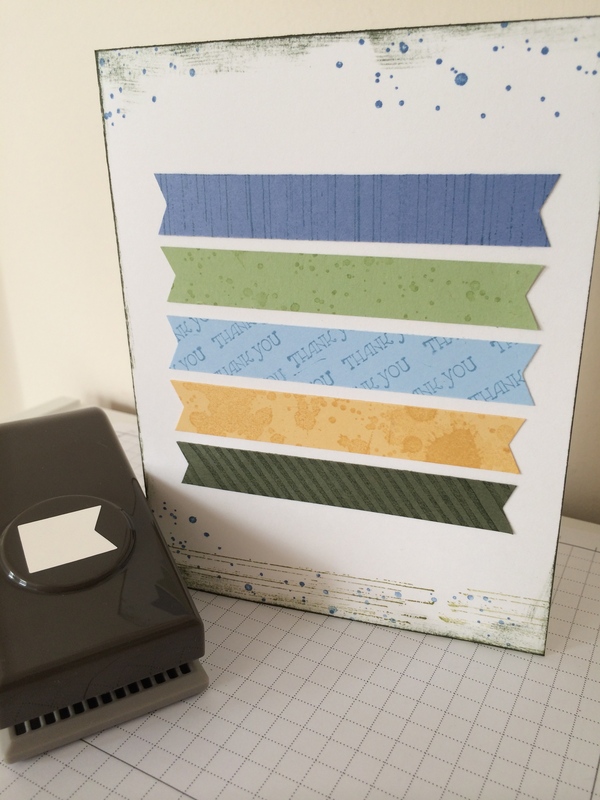 I saw the sample on page 50 and thought I could do something similar with the Banner Punch (p. 223) by punching each end of a card stock strip. 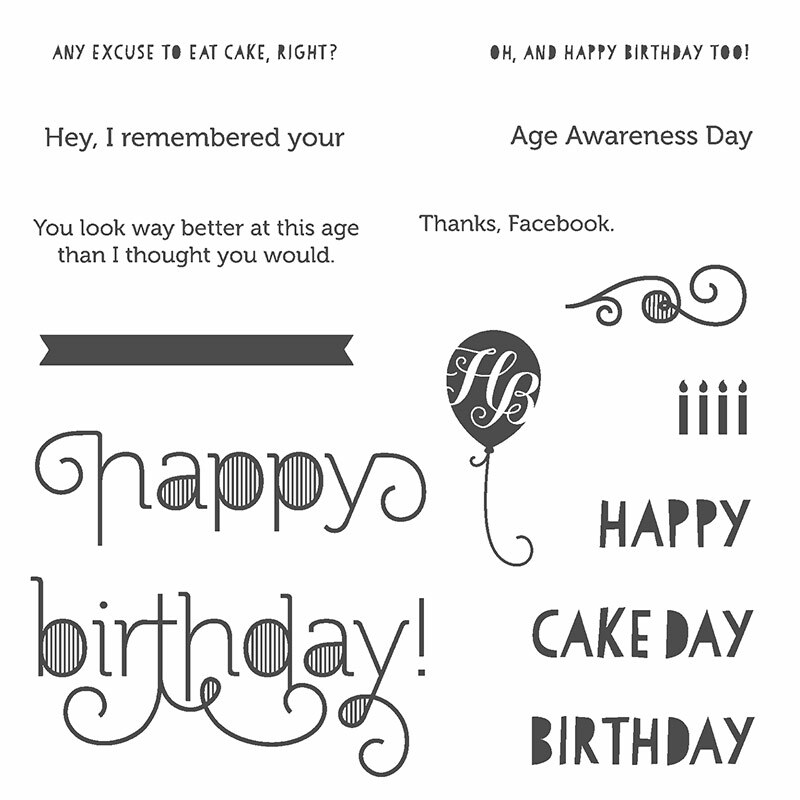 Below are pics of the inspirational card from the Idea Book online and the Age Awareness stamp set that was used for it. The banners on the sample card are stamped. 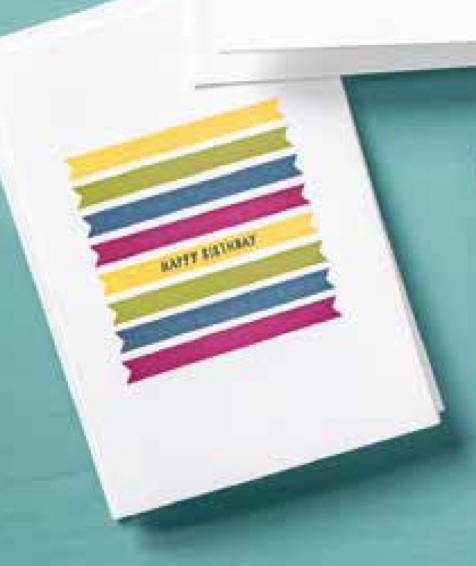 My banners above were cut from card stock, stamped with Gorgeous Grunge, then adhered to the card base. I also stamped the card base with the Gorgeous Grunge set and added some ink around the edges.